Suede upper with man made sole. Buckle closures. Heel measures approx 2 H. RMIN-WZ96. M4131001. 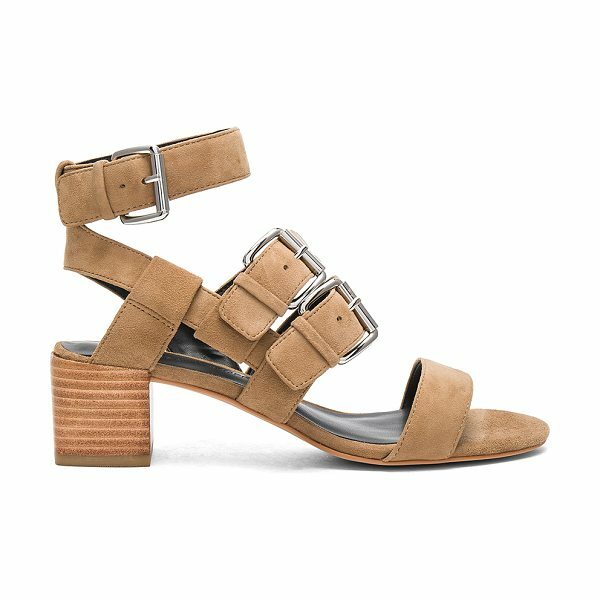 Classic, stylish, and functional; it's easy to see why we love Rebecca Minkoff.